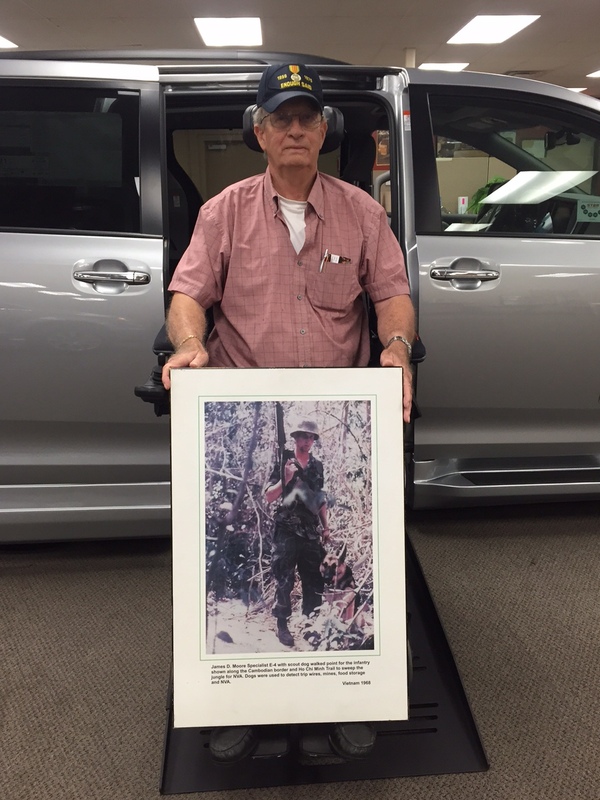 Automotive Mobility Aides for disabled veterans can be a confusing topic to navigate through. I always advise veterans who visit Ability Center to start with their respective VA prosthetics department or wheelchair department, as each veteran’s disability is unique to them and the adaptive equipment necessary can vary from individual to individual. There are no hard fast rules on what equipment may be necessary. VA programs vary into two main categories, service connected and non-service connected. On service connected, typically a percentage of disability is assigned and benefits are granted based on that percentage. There are two components to the 100% service connected VA automotive program. A onetime automotive grant, form 4502, for FY2015 this is $20,114.34. This payment is made directly to the seller of the automobile on behalf of the veteran. The second component is for the Automotive Adaptive Equipment, form 1394. This program covers adaptive equipment, including wheelchair van conversions, driving aids, lifts, etc at 100% of cost paid to the vendor. 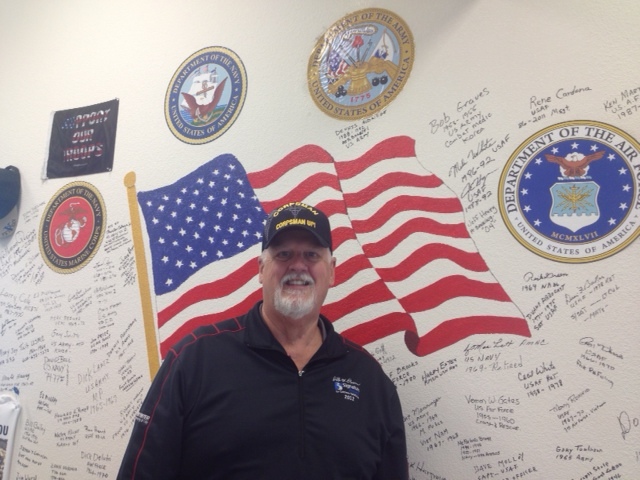 I always recommend veterans to obtain a registered advocate from the PVA or the DAV to assist in the VA process. BEWARE: there are companies out there that have “Veterans Advocates” who are only employees of companies trying to get your business or the business of the VA, all the information they give you will be based on their company’s agenda. As always-consumer beware. When looking for adaptive equipment or wheelchair adapted vehicles, always try to work with a NMEDA, National Mobility Equipment Dealers Association dealer. NMEDA dealers are QAP (Quality Assurance Program) certified and all of our technicians and installers receive regular training and maintain updated certifications. There are many types of adaptive equipment, including hand controls for gas and brake, left footed gas pedals, transfer seats, valet seats, lifts for inside or outside of a vehicle, and high tech-drive by wire systems. Always consult with Ability Center for what best fits your needs. One of the biggest obstacles we face is people buying a vehicle from an auto dealer then calling Ability Center and saying I need a lift on the back of my car to carry my wheelchair/scooter, only to find out that their vehicle does not have the adequate suspension to carry the model of lift necessary to carry their device. Always call us before buying a vehicle; advice is free. We want to know the type of vehicle and the type of chair you have because both are equally important. 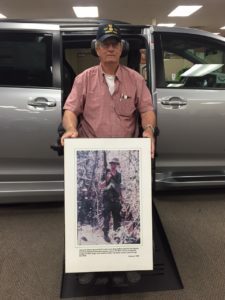 We receive many calls from veterans and car dealers asking “can you install hand controls in my car?” We can, however you must complete a driving evaluation with a Certified Driving Rehab Specialist (CDRS). The VA contracts with companies and some VA’s have a certified specialist on staff. You must have a prescription of a CDRS before Ability Center can legally install hand controls. If you are currently driving with hand controls, new ones can be installed in another vehicle without a new evaluation and if your medical condition has not changed. If you are buying a new car, remember, most vehicle manufacturers will rebate up to $1000 for new adaptive equipment. This equipment must be installed by a certified dealer to qualify. Always start with the VA Prosthetics and/or Wheelchair Departments. These are trained individuals who can best explain your benefits. Only NMEDA dealers are best equipped to install and repair lifts and are authorized by the manufactures to do warranty work. Is the sales person interested in selling a product or serving the individual with a disability? Ask yourself that question and trust your gut.